Symantec Enterprise Vault. Cloud happens to be a cloud-based archiving service where it helps in storing, managing as well as discovering information on business critical. It is through a centralized and tamper-proof online repository that the information in captured by Cloud in a secured manner and that too in a tamper-proof online repository. It does not require any sort of software or hardware and the best part is that when it comes to its deployment, the service is found to be quick as well as easy at the same time. You need to spend a much lesser amount of money from your pocket on a monthly basis where it becomes possible to get unlimited storage as well. By reducing the storage footprint and cost of your organization, it really proves to be much useful to you. Thus it helps in a good way in storing, managing and discovering all information of your organization in a secured manner. 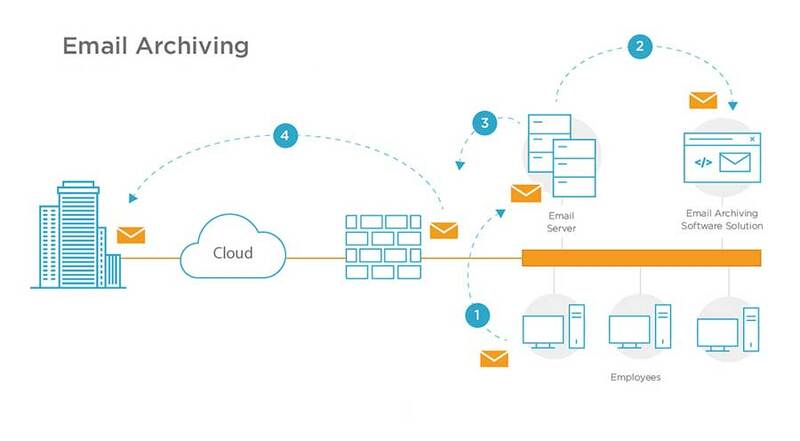 It becomes possible for users in saving as well as archiving PST and NSF files from other important sources with the help of cloud-based email archiving solution. It leads to faster as well as more seamless email migrations with the help of archiving duplicate and old email prior to your migration. Archiving email either online or offline can be accessed by intuitive end users and that too on mobile devices. It provides faster search for eDiscovery with consistent retention policies.